The number of children with acute kidney injury (AKI) requiring dialysis is increasing. 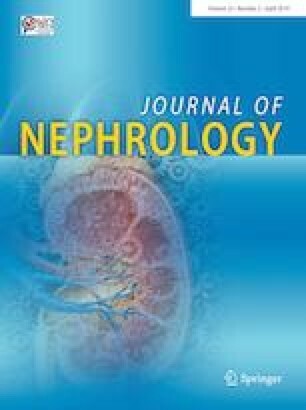 To date, systematic analysis has been largely limited to critically ill children treated with continuous renal replacement therapy (CRRT). We conducted a survey among 35 European Pediatric Nephrology Centers to investigate dialysis practices in European children with AKI. Altogether, the centers perform dialysis in more than 900 pediatric patients with AKI per year. PD and CRRT are the most frequently used dialysis modalities, accounting for 39.4% and 38.2% of treatments, followed by intermittent HD (22.4%). In units treating more than 25 cases per year and in those with cardiothoracic surgery programs, PD is the most commonly chosen dialysis modality. Also, nearly one quarter of centers, in countries with a gross domestic product below $35,000/year, do not utilize CRRT at all. Dialysis nurses are exclusively in charge of CRRT management in 45% of the cases and pediatric intensive care nurses in 25%, while shared management is practiced in 30%. In conclusion, this survey indicates that the choice of treatment modalities for dialysis in children with AKI in Europe is affected by the underlying ethiology of the disease, organization/set-up of centers and socioeconomic conditions. PD is utilized as often as CRRT, and also intermittent HD is a commonly applied treatment option. A prospective European AKI registry is planned to provide further insights on the epidemiology, management and outcomes of dialysis in pediatric AKI. The online version of this article ( https://doi.org/10.1007/s40620-019-00606-1) contains supplementary material, which is available to authorized users. The Institutional Review Board waived the need for informed consent.